Though all has been quiet in Leafland for quite a while, that might change at some point in the next few weeks. Rumblings suggest that the Leafs are still dangling forwards James van Riemsdyk and Leo Komarov on the market, likely in hopes of adding a defenseman. Never a stranger to the rumour mill, Tyler Bozak is also out there in speculation. Van Riemsdyk in particular has been subject to trade rumours for quite some time. 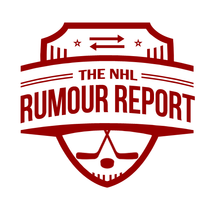 In the leadup to the June entry draft it was believed the Islanders and Leafs got into discussions that involved Hamonic and van Riemsdyk among other pieces. The Isles, preferring to trade Hamonic out West, ultimately dealt him to Calgary for a bundle of high draft picks. It was also probably out of respect for Hamonic, whose request to be closer to family in Manitoba was longstanding. Though Hamonic is off the market, the Leafs are rumoured to have their eyes on a number of blueliners, including Jason Demers, Chris Tanev, Sami Vatanen, Colin Miller, Mark Pysyk and Brandon Montour. Defensemen don't come cheap, so it won't be a shock if the Leafs stand pat. But despite adding veteran Ron Hainsey, it sure doesn't sound like they're done.